World Famous Comics: Artist collective appearing yearly at San Diego Comic-Con International! World Famous Comics is an artist collective appearing yearly at San Diego Comic-Con in Hall G, booth 5560. 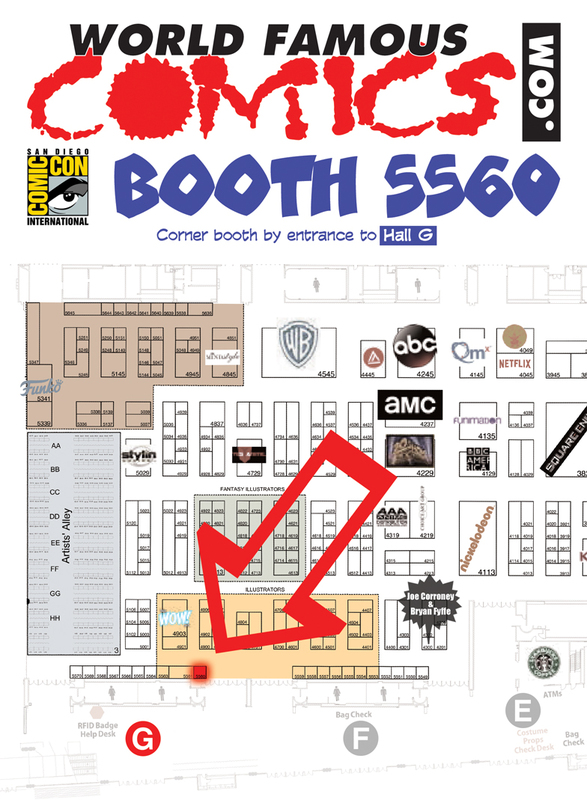 Our SDCC appearances feature Studios B3, Hi-Fi Color for Comics, Oktopolis, and Justin Chung. Our online features are Anything Goes Trivia and Last Kiss Comics. San Diego Comic-Con International 2019, July 17-21!